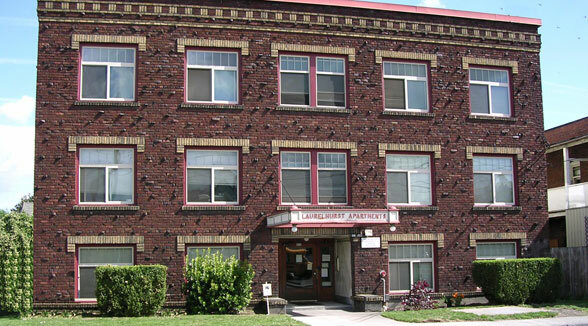 Laurelhurst Apartments are located just one block from the gorgeous Laurelhurst Park. These 23 one bedroom apartments are in a renovated, yet classic building, close to everything. Just blocks away from coffee shops, unique stores and restaurants galore. You won’t have to go to far to find what you are looking for. Breathe easy. Smoking is not allowed in any REACH property. Bike access to downtown on the Ankeny St bikeway, and to the east side on 41st Ave. Rated a “walker’s paradise”, with a WalkScore of 88.